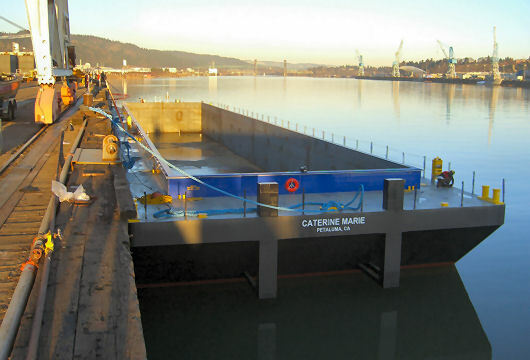 In January 2009, the third and last 4,500 ST inland hopper barge CATERINE MARIE was delivery by the Gunderson ship yard in Portland, OR. Argonautics Marine Engineering, Inc. was hired for the before and after launch surveys as well as the trip and tow survey. The 254 x 55 x 14.5 ft barge and its tow gear was surveyed after the launch at the Gunderson yard. 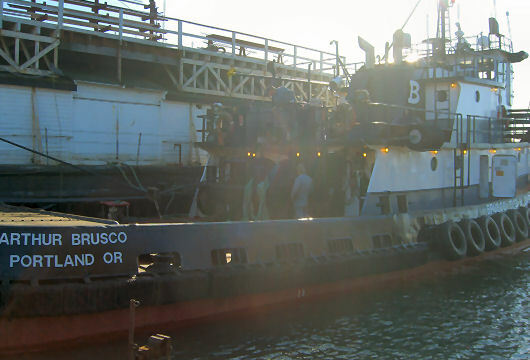 The 3,000 hp oceangoing tug ARTHUR BRUSCO was surveyed at the tug owner's facility. The 1965 build tug was just out of dry dock and in excellent condition with re-built engines and new tow wires. 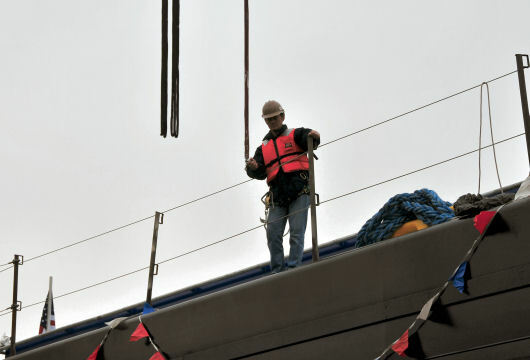 Because of the open hopper, a Survey Certificate with weather restrictions was issued. 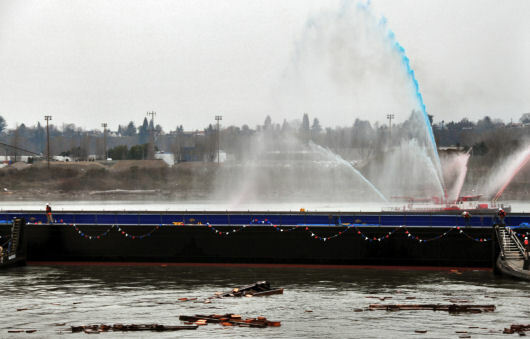 Upon receipt of a favorable weather window, the tow departed Portland early February and the barge was successfully delivered to its owners 4 days later. 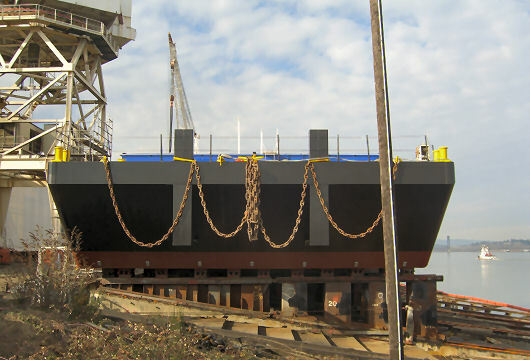 Similar surveys were provided for the tows of the first and second hopper barges of this series in November 2007 and March 2008 respectively. Survey of the barge upon arrival.